Curlies, coilies, and wavies alike know the benefits of using natural oils on their tresses, whether it be carrier oils or essential oils. 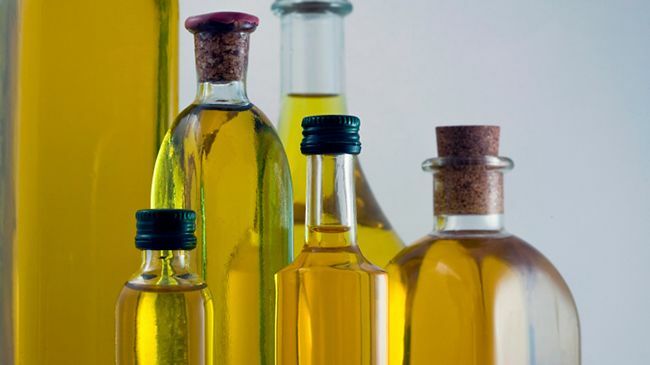 Aromaweb says that carrier oils are base oils or vegetable oils that are derived from the fatty portion of the plant like the seeds, kernels, or nuts . Essential oils are liquid distilled mostly by water or steam from the leaves, stems, flowers, roots, bark, and other elements of the plant . Essential oils are potent and must be diluted with water or a carrier oil. I am not much of a mixtress nor do I DIY, but I can mix a little sumptin sumptin when it comes to oils for my spray bottle or my oil cleansing method (OCM) for my face. Blending oils is great because there is an array of oils to select from and a lot of variations you can create! You can blend just essential oils or create a synergy blend (a blend of essential oils that promote relaxation, energy, or sensuality and soothe pain). You can just blend carrier oils or infuse essential oils into carrier oils like I do for my spray bottle. The benefits of blending carrier oils are vast and as many curlies, wavies, and coilies have become mixtresses, they are saving tons of money too because of their creations. You can make all kinds of beauty products including hot oil treatments and pre-poo concoctions. The biggest challenge may be finding which oils will suit your needs. You can always mix carrier oils and add a few drops of essential oils to the mix. The best oils are cold pressed oils. Cold pressing is extracting oil by pressing and grinding fruit or seeds with granite millstones or modern stainless steel presses. Cold pressed oils retain all of their aroma, flavor, and nutritional value. Lighter and smaller molecules produce thinner oils (less viscous) that are more volatile (aromatic). Heavier and larger molecules produce thicker oils (more viscous) that are less volatile (aromatic). Heavier and larger molecules absorb in the body slower and thus are metabolized slower. Therefore, they will also remain in the body for a longer time period. Lighter and smaller molecules absorb in the body faster and thus are metabolized faster. Therefore, they will also remain in the body for a shorter time period. Not sure which oils to blend? Aromaweb is a great source to learn about the rate at which different oils evaporate, and they are categorized as top notes, middle notes, and base notes. Storing your oils correctly is important. Keep bottles tightly sealed and stored in a cool location away from sunlight. Storing them in a dark glass bottle will keep you from worrying about their shelf life. Keep them away from children and pets and store do not store them around flammable materials. Since essential oils are highly concentrated and potent they should not be directly used on the skin. Dilution is necessary, and the best way to do so is by adding them to cold pressed carrier oils. There is a science to the mixing so that you will not irritate your skin. Aromaweb says that a 2% essential oil dilution is considered safe for a topical application for adults, but for children and the elderly 1% is safe but please consult your physician. A 2% dilution is adding 12 drops of essential oil to each fluid ounce (30 ml) of a cold pressed carrier oil, lotion, vegetable butter, or other natural moisturizer. Popular carrier oils for mixing with essential oils are olive oil, jojoba oil, sunflower oil, and sweet almond oil, but there are actually lots of them to choose from depending on your preference. I use jojoba oil and lavender oil for OCM and add tea tree oil to my cleansing co-wash whenever I feel I need more oomph for cleansing. Figuring out what you like and what your skin can tolerate can only be determined by trial and error. Remember that what someone else likes may be different from what you like. Changing up recipes to accommodate your likings is always allowed! Want a place to start? Try the Naptural85 DIY Hair & Body Oil. How do you mix your oils?